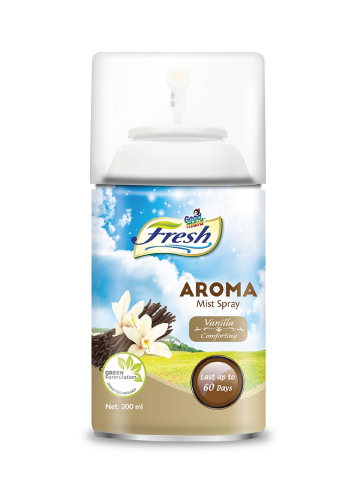 Aroma Mist Dispenser - Goodmaid Chemicals Corporation Sdn. Bhd. 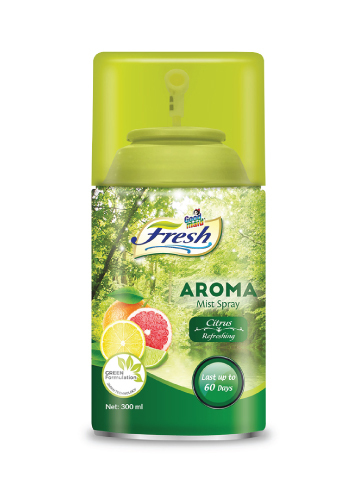 This SUPERFRESH Formulation is the perfect way to fight unwanted odours and freshen the air in your home or office immediately. 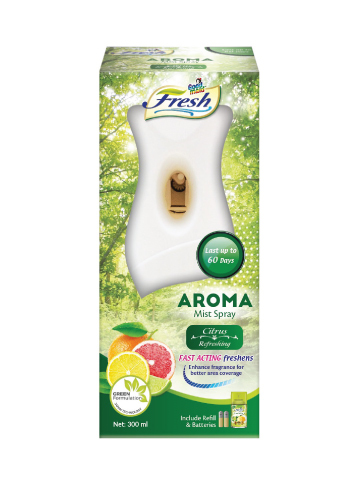 • Our range of air fresheners freshen the air and make your home and other living space uniquely inviting. 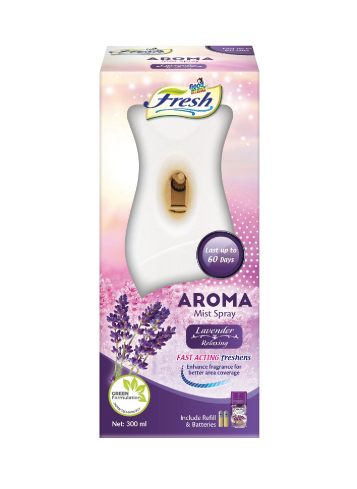 • Refresh your senses after a long day of work with this manual spray. 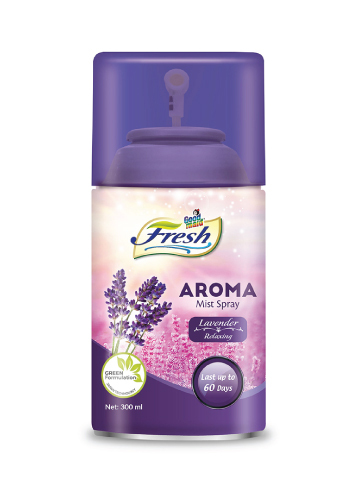 • Be in control of the level of fragrance that you want in the air. • Install the container in a dispenser at a recommended height of 2m from the floor. • Keep at least 2.5m away from food or direct with face. • 35 days supply for 15 minutes spray interval ; 60 days supply for 25 minutes spray interval.